[UPDATE] It’s now on iBooks! 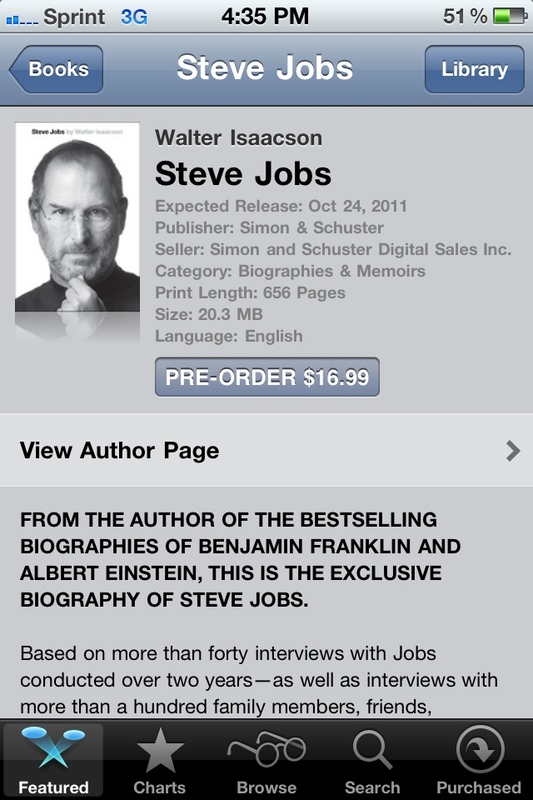 Hey guys, just a quick reminder, Steve Jobs by Walter Issacson will be released tomorrow on the iBooks Store here in the U.S. and around the world. This is Steve Jobs only authorized biography and will be available in stores for $35 (hard back) and the digital version from the iBooks Store for just $16.99. The biography used over 3 dozen interviews and Jobs left nothing off-limits.